Cyprus League Against Rheumatism organizes an event in order to celebrate World Arthritis Day 2018. The event will take place at The Mall of Cyprus – Nicosia, on 14 October 2018, between the hours 11:00 – 15:00. 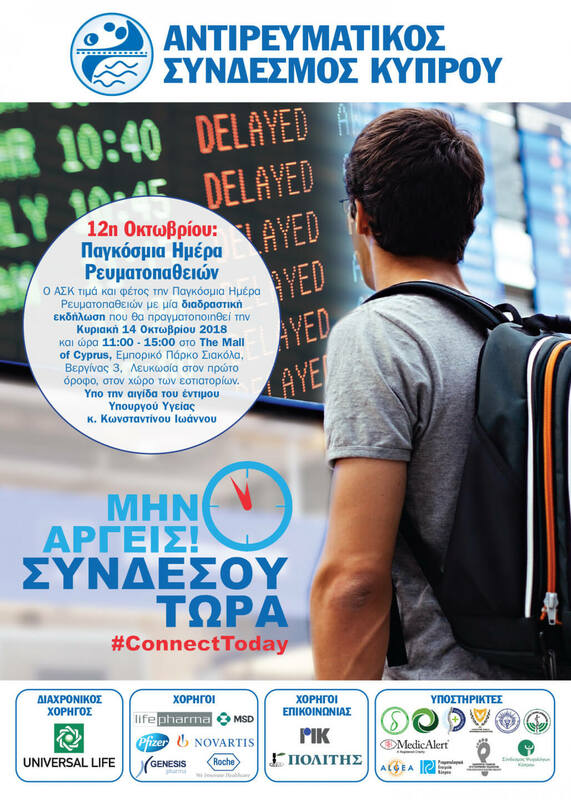 The slogan of the event is Don’t Delay – Connect today. The aim is to raise and promote awareness of the symptoms connected to rheumatic and musculoskeletal diseases (RMDs) and the importance of gaining early diagnosis and access to care. The campaign embraces all three pillars of the European League Against Rheumatism (EULAR): People against rheumatism in Europe (PARE), health professionals and scientific societies.